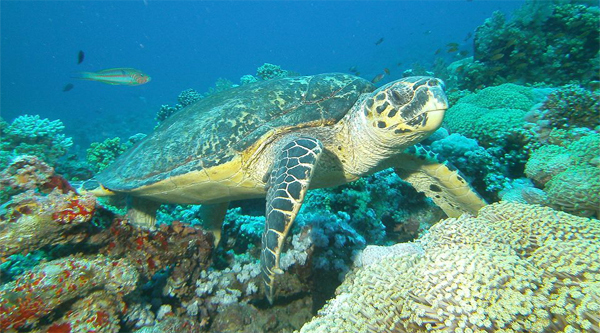 If you are a beginner diver then Sharm el Sheikh is the best place to start your experience since it offers the best dive sites for those who are just in the beginning of discovering the beauty of the underwater world of the Red Sea. The sheer abundance of corals, many of exceptional size and colour, makes diving in Sinai an experience of almost magical intensity. But beyond the corals is a nearly infinite variety of marine species, including such notable creatures as Napoleon wrasse, brilliant orange coral groupers, enormous gorgonian fans, moray eels and hammerhead sharks, elaborate lionfish and majestic, swooping giant manta rays. 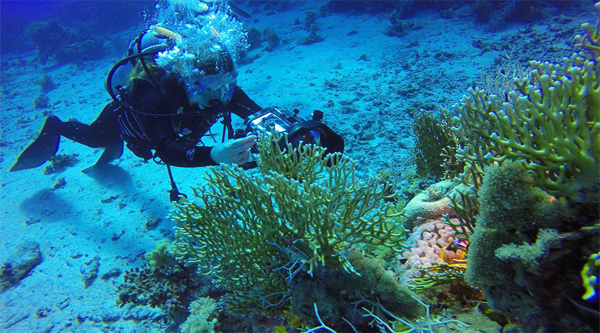 The variety of diving activities let almost everyone enjoy the scuba. 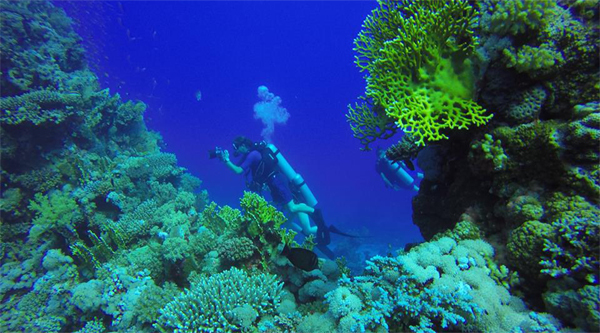 You can choose between shore diving and explore the best places Sharm el Sheikh has to offer, try night diving and sea the marine life of the Red Sea in another way or take an adventurous wreck diving to the best known ship wrecks of the area like Dunraven or Thistlegorm. 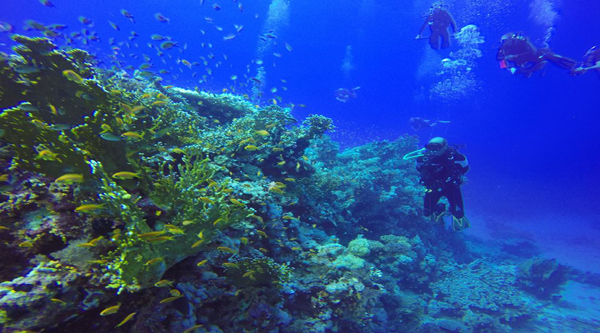 If you are just a beginner than explore the nearest dive sites and enjoy the cinerary. Here is one of the best sites to explore for beginners. Suitable for divers with minimal experience, but appreciated best when drift diving. Ras Um el Sid bay sweeps gently southwards, protected by the headland adorned by a solitary lighthouse. The reef plate protrudes out into the bay, thinly veiled by the turquoise surface shallows, before dropping away abruptly into the main reef wall. Occasional pinnacles are dotted haphazardly, like sheep on a far flung hillside, hanging precariously over the deeper blue and gentle sandy slopes. Scorpion fish nestle under coral outcrops, whilst Lionfish dawdle gently in the current, unhurriedly searching for their next victim. Antheus and Chocolate Dips vie for space, darting in and out of the mild eddies. Jackfish cruise just off the reef wall seemingly oblivious to the various morsels available to them, before accelerating in at blistering speed, causing a veritable orange Mexican wave of escaping potentials. Groupers lazily rest on the sloping bottom, dark smudges against the light sandy grains. Slowly the wall takes over replacing the sandy bottom with its mildly ominous continuance into the depths. A huge Napoleon Wrasse gracefully hovers over the forest of gorgonian fans, dominant by displacement but gentle in nature and attitude. Moray eels peer out of hollows, apparently tasting the current with a sommelier's nose for a good bouquet! Slowly, the drop off merges with the headland, and coral pinnacles begin to overlap like soldiers on the parade ground. A profusion of colour now greets the eye. Prickly alcyonarian in the brightest hue, positioned next to subtle grass corals. Broccoli corals dip and weave like flowers in the meadow caressed by the breeze. Fire coral innocuously levitates off outcrops and pinnacles alike, hiding its deadly yet miniscule barbs. Table corals of magnitude balance delicately atop the small pinnacles. A large salad coral sits incongruously among the outcrops, adorned with small clams, and an occasional prickly pen shell. 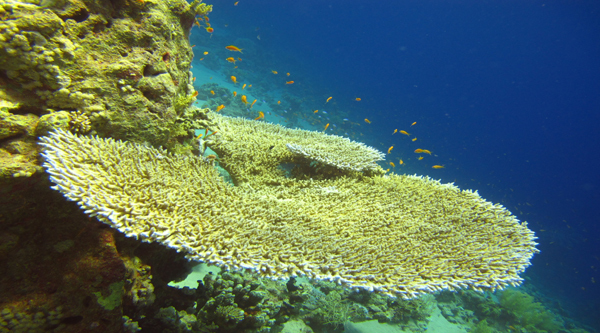 A dive site heralded by many guides as one of those occasionally expressing rare potential in the wildlife that visit, and one of the most fantastic giant sea fan collections known to Sharm. And that is without mentioning the coral pinnacles and outcrops that adorn the main headland!! !